This is a hands on, full time, year round position responsible for all resort maintenance and upkeep. Basic plumbing, electrical, HVAC and carpentry skills required. Swimming pool and small engine maintenance would be a plus. Must have an excellent customer service attitude and work well with other staff and guests. 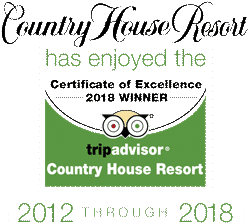 The Country House Resort prides itself on providing outstanding service to our guests. The key to this success is quality employees who love what they do. Our beautiful property and adult atmosphere make for an outstanding work environment. Coworkers are mature, self-motivated individuals who love Door County, working with people and are proud of their work. As a family owned and operated property, the Country House culture is naturally friendly, casual and considerate. Experience is helpful but not necessary. Flexible days and hours allow for time to enjoy all that Door County has to offer. The primary resort season is May through October. Preference will be given to applicants available from June through at least weekends thru October. Employment for July and August only, is not available. We have limited onsite housing. Employee privileges include use of resort facilities and amenities including pool, whirlpool, tennis court, dock and sun deck. Wages are excellent and include a year one end of season bonus. For the safety and security of our guests and employees, all applicants will be required to sign a release allowing us to perform criminal or other background checks relevant to the position applied for. For additional information including application and job description, please contact our Operations Manager directly at [email protected], call the resort at 800.424.0041.